There is taking the stairs—as part of a healthy, calorie-buring day; running the stairs — as sport; and simply doing stairs, as a cross-training option. Stair climbing challenges aerobic and anaerobic systems. Stairs are excellent for helping runners, swimmers, cyclists and any athlete improve their endurance and sprint performance. Along with the heart-giddyup, stairs work quadriceps, glutes, hamstrings, calves, hip flexors and core. To make a stair workout tougher, you are encouraged not to swing your arms or, uh, use the railing. “The stairs are an amazing workout and incorporating them adds another element,” Deann said. You can double-step them for a speed and strength workout. You can single-step them for cardio, strength, speed, fitness and fun. You can do them in sets like intervals or just run them 10 times. So I started looking. Lo and behold, I found parking garage stairs do the trick, as do any high school stadium bleachers. 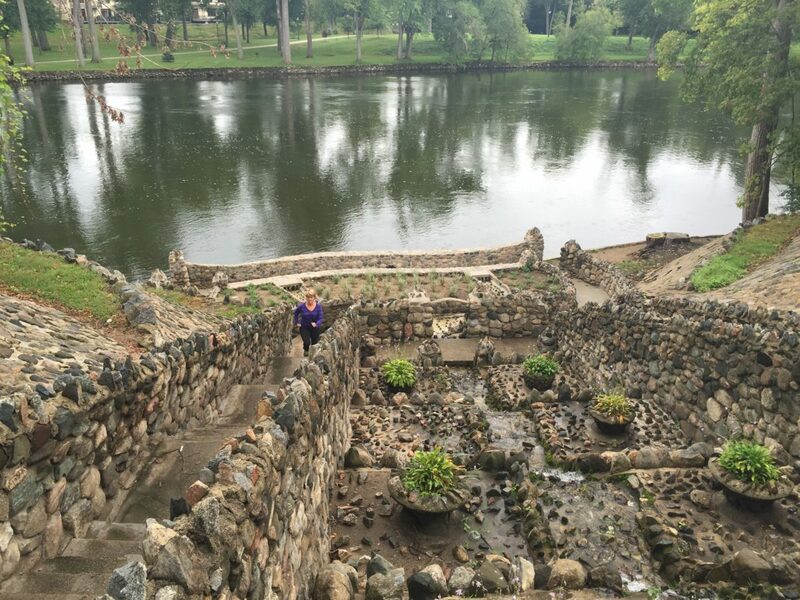 My favorite find, however, is the scenic set of stairs in Mishawaka’s Battel Park. I know there are others out there. Feel free to let me know where!